Not many dogmen know much about Brute. Most can only guess how this dog performed, produced and why he plays such a significant role in our breeding program. 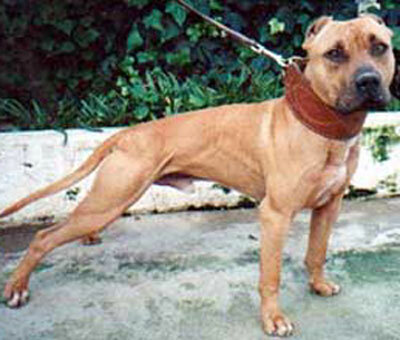 Therefore, we decided to write this article and inform the game about this great pit bull. We have come a long way with Brute and know his true history. After all, facts cannot be changed. 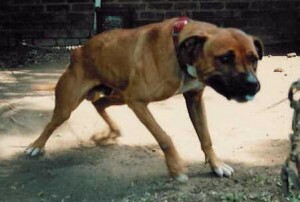 Brute was purchased by Shifting Kennels from the yard of Tom Garner and registered as Garner’s Scar, 25100G-99. He was born on the 14th of September 1997 and was red in colour with a chain weight of 22kg. Brute was sired by Garner’s Frisco bred to Garner’s Cammie. What makes this breeding so special? After all, Frisco dogs stay Frisco dogs, so what is the big deal? Let’s give some attention to Brute’s dam. Garner’s Cammie. Her sire is the five time winner, Denny’s GR CH Bo. He is down from a Crenshaw’s CH Rascal breeding, who is also the sire of the eight time winner, Snakeman’s Gr Ch Pedro. These dogs are seen a number of times in Bo’s pedigree. Bring this line together with the Frisco/Chinaman line and you have a solid foundation to work with. Straight ahead bulldogs, a complete package! Of all the dogs that have been imported from the USA, how many were really hand picked to the new owners taste? We believe not many! Fortunately, Brute was hand picked personally by a close friend (who we shall name Dutchman for this article) of Shifting, Deadgame and TinTin Kennels. Prior to Dutchman immigrating to the USA, he made contact with Tom Garner and the deal was on. Dutchman came to the states to visit Tom Garner. A 1000 mile journey to TM Garner Kennels and Brute was chosen, paid for and sent to RSA. 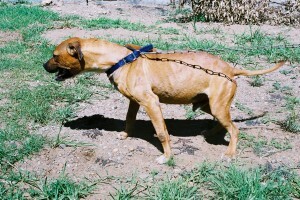 Brute arrived in South Africa during the first part of 1998. TinTin’s GR CH Gypsey 5xW, TinTin’s CH Black 4xW, 1xGL, Kudu’s CH Midnight 3xW, 1xGL, Shifting’s Billy 2xW, 1xGL and Red Scorpion’s Thunder 1xW. The true breeding potential of Brute was confirmed, as the above record speaks for itself. If Brute could produce this kind of litter as an outcross, what would he produce when linebred to the Frisco/Chinaman blood? Well, let’s take a look! 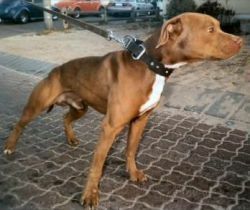 When TinTin’s (Garner’s) Leesa (1xW) was bred to Brute they produced Kudu’s CH Brisco 3xW, 1 xGL, Red Scorpion’s Chi Chi 2xW, Tin Tin’s Doc Holiday 1xGL, Shifting’s Buffel 1xGL. Garner’s Xena (2xW, 1xDGL) was bred to Brute and produced Kudu’s CH Xena II 3xW and TinTin’s Cassidy 2xW. 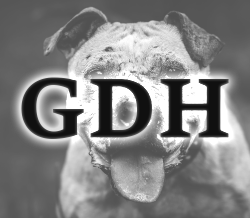 When DGK’s (Garner & Fereirra’s) Babe ROM was bred to Brute they produced three champions, DGK CH Dylan 4xW, 1xGL, DGK CH Dolly 4xW and DGK CH Dutchess 3xW. 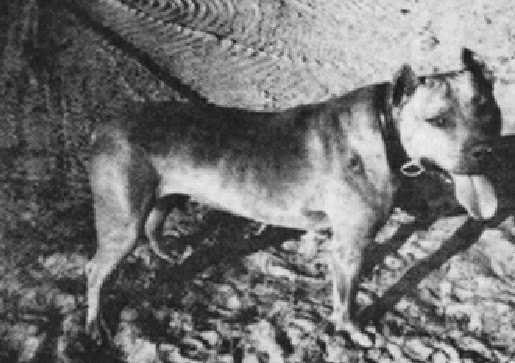 Garner & Ferreira’s Ginger bred to Brute produced the one time winner Missy. The above females were the first 5 to be bred to Brute and produced a Grand Champion and seven Champions. Not a single direct offspring out of Brute has ever stood the line. Brute has not been bred to just any female that comes into season. He has been selectively bred to high quality females with an intention of producing high quality offspring. The few owners who are fortunate enough to own a Brute bred dog, are now using this line as their foundation to breed hard, deep game dogs. His offspring have inherited the same or better qualities of Brute. During his 7 years of life, what has he produced and to what amount of females? Scar is currently the leading male ROM producer in South Africa with 9 points. Unfortunately he died in September 2004 when killed in a yard accident by his son Dylan.